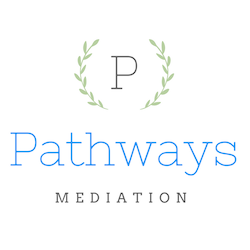 Why Should I Choose Mediation? What are the Advantages? In a domestic case involving divorce or a parenting case between two unmarried parents, the proceedings will come to a legal conclusion upon the entry of a final court order, and that end point will be arrived at through one of two very different pathways. One route is by engagement in dialogue and negotiations between the parties. The other is by way of conflicted, adversarial legal proceedings. The inevitable choice is made by the couple, and hopefully that decision is informed and voluntarily made by each person, rather than by a lawyer. It has been reported that in our state currently only about 10% of domestic cases before the court proceed to a final, contested trial. Hopefully those who have made the choice to reject settlement offers have done so after carefully considering both the emotional toll and substantial monetary expenditures which will result in a high conflict adversarial trial, as well as the fact that no lawyer can guarantee an outcome. In the real world, the aim of an attorney representing a client in an adversarial, final hearing in a domestic case is to essentially dig up and present as much dirt, and to rain down as much pain, on the other party as possible. I have used the phrase, "In the real world" simply because most people have never had to undergo the stressful experience leading up to and during a trial proceeding before a court, and therefore cannot realistically anticipate what the trial will really be like and the real risks involved. Litigants who have chosen to proceed to a final contested hearing must also recognize that they have in effect elected to place the final decisions regarding the many important issues between them in the hands of a third party stranger, who will decide the outcome after an oftentimes hurried formal hearing, subject to archaic and restrictive procedural rules. Often after the trial is over and the judge has issued his or her final orders one, or both, of the parties feel that they never had the opportunity to tell their true story, or perhaps worse that they were not understood. This naturally should lead to the question, “Why make the unhappy, often times sad, ending of a marriage more traumatizing to one, and in most cases, both parties?" Fortunately, there is a better alternative. There is a fundamental premise accepted and embraced by our judiciary, as well as mental health counselors and professional mediators, that it is in the best interest of families that the resolution of their divorce, or other family proceeding, should be handled in a fair, timely, non- adversarial and respectful manner, with the ideal of seeking to avoid the unnecessary and long lasting recrimination so often characterized by high conflict adversarial proceedings. The mediation process, when conducted properly, is particularly well suited to attain these goals. Our informal mediation process is especially intended for the individuals involved, to encourage them to communicate with each other and to explore mutual concerns and considerations in a joint cooperative effort to reach a settlement, which is both reasonable and which meets their individual needs and that of their families. Emotions. We are all human, we all have them. But the problem is that so often in relationships, past unresolved mistakes and injuries inflicted by words or conduct can lead to a sad, repetitive cycle of acrimony and resentment. In time without a pathway leading to an end to the conflict, greater harm naturally follows leading in many cases to overwhelming unhappiness. In those instances where such conflict causes one or both of the parties to feel that the relationship is irreparable, the couple inevitably ends up in drawn out, contentious Court proceedings. The depletion of Court staff and resources over the past several years, combined with the ever growing volume of new cases filed in our Courts, has led to a judicial system that has become designed to implement Court efficiency, rather than the important personal needs of the individuals who come before our Courts. This reality has led to the inescapable recognition that Mediation offers a better way to deal with Family conflicts. Mediation allows the cooperative exchange of information necessary for both parties to make well informed decisions in a non-confrontational setting. The process, when conducted properly, facilitates dialogue between the parties in a guided effort to assist them in determining both their individual and mutual interests, and to consider all reasonable options to reach a better outcome. Mediation offers the parties an opportunity to take a time out from the argument and to focus on the future. As highlighted within my last post, these ideals embrace the fundamental principle underlying the Mediation process referred to by the term ,"Self Determination". Simply the recognition by Mediation professionals that the parties themselves should have the freedom to work cooperatively together to find an acceptable resolution of the issues between them which best satisfies their needs and individual interests, and that the parties have authority over the process, as well as ownership of the results. In cases involving conflicts concerning minor Children, decisions made by our Courts are made based upon reference to the phrase "Best Interests of the Child", an ill defined, and completely subjective standard. Who better to make such decisions? A third party stranger, a Judge ? Or, the child's parents ? Importantly in Divorce, Parenting, or Separation cases involving children, our Courts recognize that parents should continue to be empowered to make the important decisions regarding their children's care and future upbringing. With these very important considerations in mind, I have included a number of articles on our Resources page which I believe offer invaluable information and insights with respect to the children who innocently become participants in the family dynamics triggered by the Divorce, or Separation, of their parents. Over the past decade there has been a sweeping cultural shift related to the traditionally accepted assumptions concerning divorce and separation, which has led to transformational changes to our system of family law. The underlying policies propelling this trend have been implemented by the introduction of both new legislation, as well as court rules, with the stated purpose of promoting a cooperative approach to the resolution of conflict within families using alternative methods of dispute resolution, rather than high conflict litigation. This new initiative evolved coincidently at the same that our courts experienced a critical depletion of staff and resources, in the face of an ominous growing caseload involving family issues. The confluence of these developments gave rise to the natural and logical promotion of mediation, as the optimal method of conflict resolution in family related cases. The fundamental principle of mediation in domestic relations disputes is the recognition that the parties themselves should be allowed to unravel and bring their relationship to an end on their terms, and that parents should continue to be empowered to make the best, long lasting decisions concerning their children's upbringing, following separation. This concept, now promoted and referred to as "Self Determination,” is the guiding light in the mediation of disputes involving Family matters. The mediation process, when conducted properly, is particularly well suited to attain these goals. To broaden our understanding of the importance of "Self Determination and Empowerment" in Family Mediation, in my next post I will focus on the Children of Divorcing and Separating couples, and the use of the phrase "Best Interests of the Child."